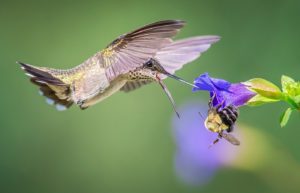 As we finish off the photo club year and enter into summer, a reminder from Nature Visions that the uploading of images for consideration in the photo exhibit at the expo begins August 13. You will find instructions and other information on the Nature Visions website at www.naturevsions.org. Every image that is submitted is subject to a panel review prior to judging to ensure that all rules for the image are being followed . If you submit an image between August 13 and Sept. 14 which is turned down in the review, you will have an opportunity to resubmit. However, photographers who submit between Sept. 14 and Sept. 21 and have the image rejected will not have the opportunity to resubmit. The final deadline for uploading images is Sept. 21. Judging of images takes place from Sept. 25 to Oct. 7. The announcement of images accepted for the exhibit will be made Oct. 12. If your image is accepted, you will have until Oct. 27 to prepare your image for display (printing and matting.) The expo itself will be held once more at the George Mason University Hylton Center in Manassas from Nov. 2-4, 2018. For more information or if you have questions, don’t hesitate to contact Roger Lancaster at roger@thelancasters.us. So now go out and get those great summer shots—and submit your best ones to Nature Visions! This entry was posted in Activities, Featured, Nature Visions, NVPS News, Upcoming Events.